These beautiful floral heart wreaths that Mel created for her windows are the perfect way to start your Valentine's Day decorating. And with the little white flowers you cloud leave them up through Spring. The best part is that Mel has a tutorial to show you how to create all three styles. 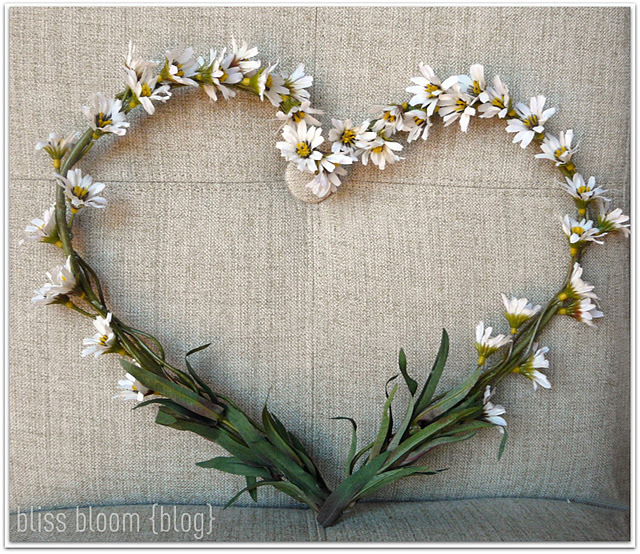 Check out the flower heart wreath tutorial over at Bliss Bloom Blog. Oh my goodness!! It's so cute!